The bitterness Minnesotans feel toward the Stars isn’t what it was around the time the Wild franchise was formed. But stealing a playoff spot from Dallas would still be sweet for many fans. *The Wild’s playoff hopes have faded significantly in the last two weeks because of a 1-3-1 home stand (and, frankly, several other inconsistent stretches to the season). It might look to some like Minnesota is in a three-team race for just one playoff spot, the last wild card slot in the West, with Colorado (two points up at 81) and Arizona (tied with the Wild at 79). But I think Dallas might be just as vulnerable to a late Wild push, which could set up a very interesting Game 82. 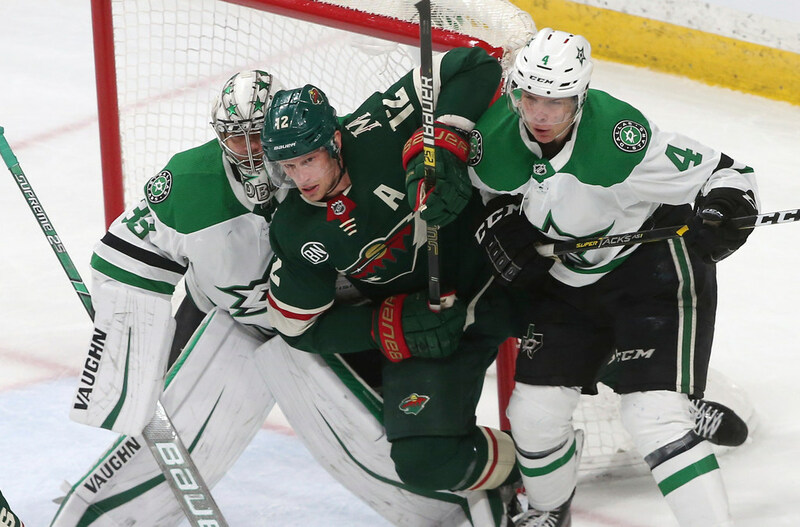 The Stars had their own recent 1-3-1 home stand, a stretch during which the Stars could have cemented a playoff berth but instead left it open to question. Now Dallas plays its next four games on the road — the first two at Winnipeg and Calgary — where the Stars are a below .500 team this season. Dallas does have 82 points and has played one fewer game than the Wild, Arizona and Colorado. But if the Wild can gain two points on Dallas in its next five games — three of them at home, where admittedly Minnesota has been strangely bad — Minnesota could catch and pass Dallas with a regulation win on the season’s final day when the teams meet in the finale in Dallas. The bitterness Minnesotans feel toward the Stars isn’t quite as acute as it was around the time the Wild franchise was formed, but stealing a playoff spot from Dallas would still be a boon for fans. *Francisco Lindor could be in line for a huge payday when he is eligible for free agency after the 2021 season. But will that happen with Cleveland? That should pique the curiosity of Twins fans hoping Minnesota can catch and pass Cleveland in the AL Central in the coming years. It should also serve as a reminder that MLB is rigged in favor of the teams able to spend more. *With the Wolves being eliminated officially from the playoffs over the weekend, injured point guard Jeff Teague also officially will miss the postseason for the first time in his career. He made it to the playoffs each of the first nine years of his career — seven with Atlanta, one with Indiana and one with Minnesota — and has appeared in 71 playoff games total. Teague is not expected to play the rest of this season, the Wolves announced last week. He’s appeared in just 42 games this year while battling various ailments. The Wolves are 23-19 when Teague plays, and they are just 10-21 without him. Keep that in mind as you consider whether Teague will opt-in to the final year of his contract at $19 million next season.